Cheese is quite possibly the greatest food of all time. If you don’t love it, we can’t be friends. No actually we will be friends- I’ll eat the cheese for both of us #glutton. 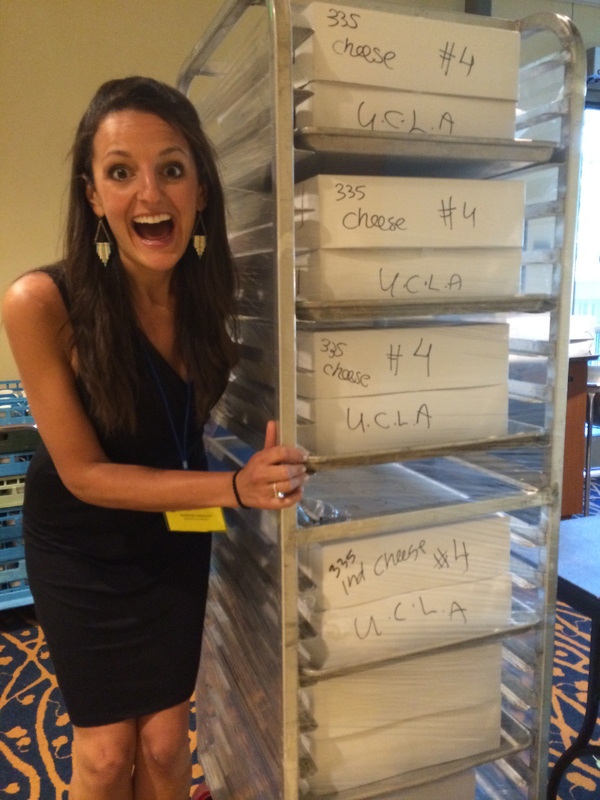 UCLA, I found your cheese. I recently learned about PDO Asiago Cheese. And it tastes SO good. Especially with a nice glass of red wine. Olivia Pope style. You know it. The following asiago cheese recipe is great for those times when you’re having people over for dinner or drinks and you want some gooey hot cheesy thing to enjoy while you chat away. Spoiler Alert: This dip won’t last long, so don’t even try being polite. Just dig right in. Right away. Optional dash of pepper and drizzle of balsamic vinegar. 1. Roast the red peppers in a 425 degree oven. ( How to roast them you ask? Welp. You cut them in large chunks, place on baking sheet , and roast for about 20-25 minutes or until the skin starts to blacken. Place in ziplock bag and close. Wait about 10 minutes, then peel then skin off. OR just go buy a jar of roasted red peppers and win at life). 2. Peel 1-2 apples and chop into small chunks. Slice the other apple to eat later with the dip. Chop the red pepper into small chunks too. 3. Put a little olive oil in a sauce pan and cook the apple chunks until softened (about 6-8 minutes) on medium heat. 4. Turn heat to low, add red peppers, then shredded cheese. Stir until the cheese melts and ingredients are well mixed. 5. Place in a serving bowl or dish. Add pepper and a drizzle of balsamic to taste. 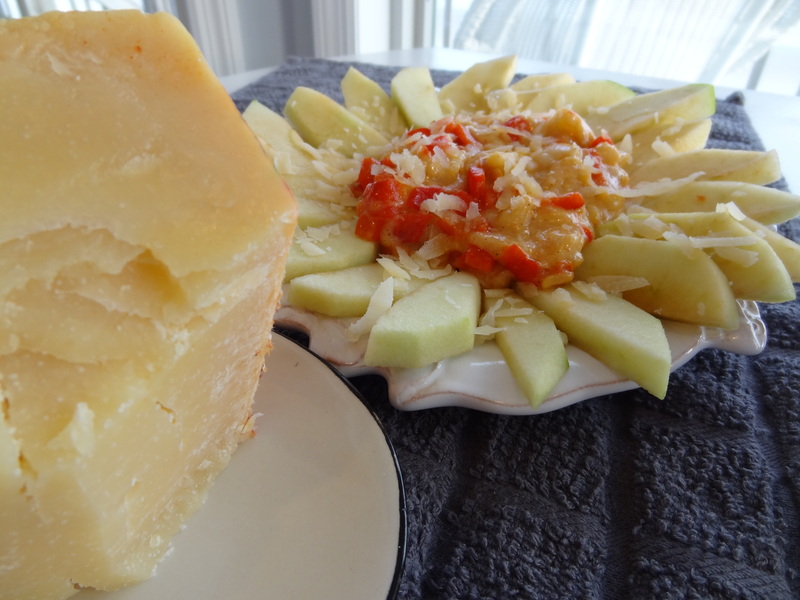 Serve immediately with crackers or apple slices. I also shredded some extra asiago on top, because I have an unhealthy obsession with cheese. Admitted. Previous Post What about Asiago Cheese? ?